We all know that managing the myriad of changes in risk and compliance requirements, policies and related procedures isn’t simple. It demands systems and assignments of responsibility to flag triggers for change, archive older versions of things we are changing, and notify relevant parties of the changes that have occurred. What is the ripple effect of the change throughout the organization? Are we planning this change so that it doesn’t disrupt the business or another functional area? How are we going to communicate this change throughout the functional silos of the organization so that they quickly realize new requirements, risks and benefits? Too often, change management in GRC falls short, leading to disruption and lack of support for the critical risk and compliance activities that enable effective governance. The solution is to adopt a risk-based approach to change management that increases efficiency in operations and collaboration at an enterprise level. 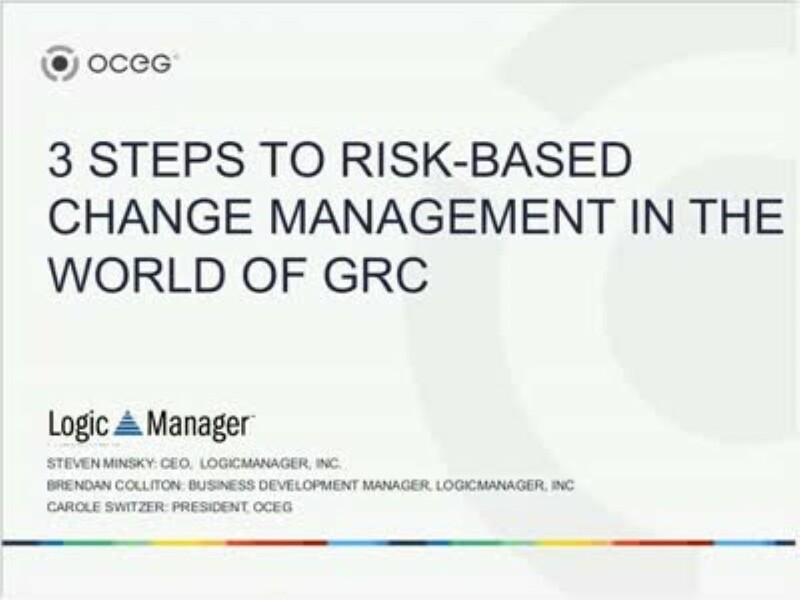 In this webinar, you’ll learn the 3 fundamental elements of adopting a risk-based approach to change management with GRC. The Language of Change Management: Create a common taxonomy to better share information across silos and levels of the organization, and quickly identify who and what is impacted by a change. Prioritizing Activities: Adopt a risk-based approach to change management while prioritizing limited resources and making better business decisions. Benefits: Learn how to build the business case for managing change, and what third party studies say about a risk-based approach to traditional governance. Steven Minsky, CEO of LogicManager, Inc.